The apartment, which is self contained and on two floors, forms part of the Pump House, a large house in the country village of Great Burstead in the county of Essex. The village is close to Billericay - a small country town with strong US connections. London, Canterbury, Cambridge, Colchester and 'Constable Country' can all be reached within the hour by road. Central London is just 30 minutes by train from the local station. A regular bus service runs close by. This is a great centre for discovering the history of the East Anglian Region and London and to see something of the beauty of this rural part of England. The apartment can be rented as a one, two or three bedroom facility. We often have just two or four persons - and the cost is lower. The accommodation (up to 1500 sq ft) has two living rooms, a dining room, a fully fitted kitchen and the choice of one, two or three bedrooms / bath/shower rooms. First floor rooms are air conditioned. The apartment is luxuriosly appointed with every needed facility. There is a free WiFi cnnection throughout. The spacious grounds is with a heated (May to September) open-air pool, spa/hot tub, summer house with shower, barbecue facilities, garden games and furniture and an outside WC. There is off street parking for 2 cars. Local Services: Bus Stop outside property. Turn off M25 at jct 29. Take A127 towards Southend. Then A176 towards Billericay. Turning on right signposted to Great Burstead. Then first house on left. 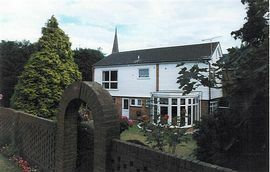 One bedroom Option: £625.00 to £750.00 per week. Two bedroom Option: £940.00 to £1100.00 per week. Three bedroom Option: £1300.00 to £1450.00 per week. 1. "Thank you very much for the most beautiful holiday home we have ever been to. 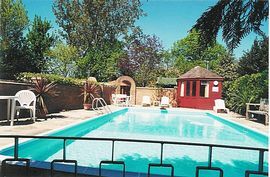 We enjoyed the pool, the spa and your magnificent garden very much." Mr & Mrs B-M and family - Amsterdam. 2. "We have once again come together as a family and been able to relax and enjoy our time at the superb 'Pump House'. Thank you again for ensuring our stay was so pleasurable." Mr & Mrs D-N - Australia. 3. 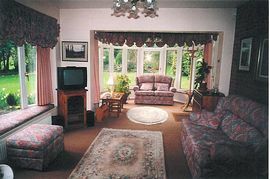 "An extremely well equipped, neat and tidy accommodation with lovely gardens and grounds. 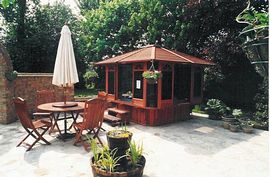 A fantastic place to stay for the family in a lovely part of the UK." Mrs W.S - New Zealand. 4. So much more than I expected. Peace, tranquility, beautiful setting, carefully tended grounds and gracious hosts." Mrs C.B. Maryland USA.